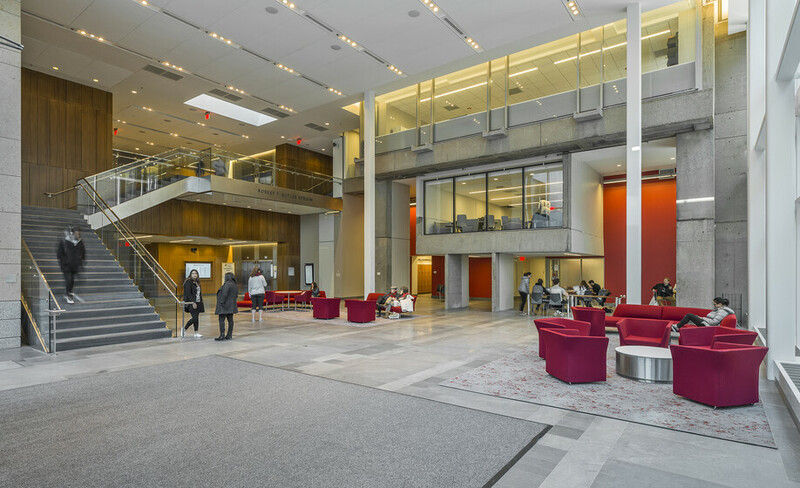 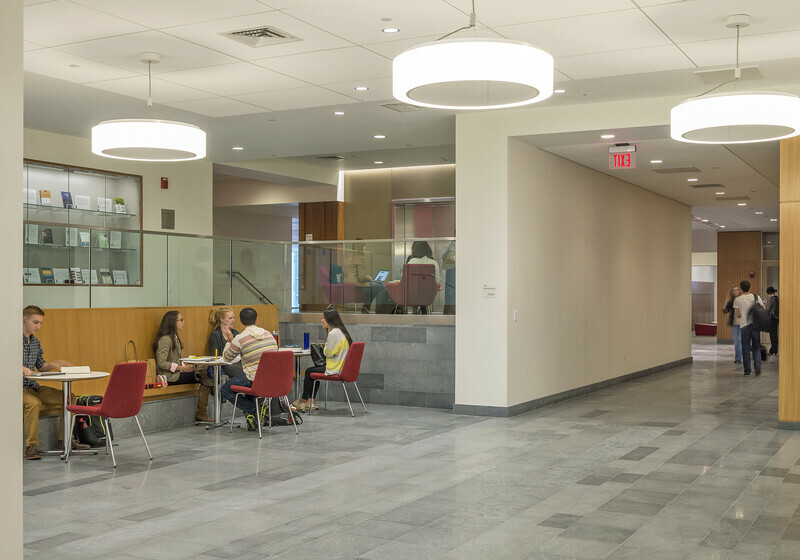 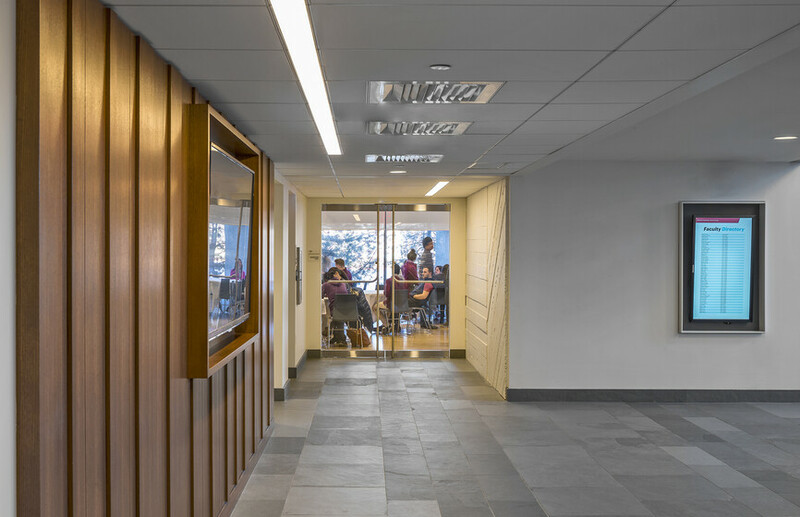 The lighting for the new Sumner M. Redstone Building and the renovation of the 265-foot Law Tower at Boston University Law School welcomes students, faculty, staff, and visitors to a visually cohesive learning environment that stitches together old and new spaces. 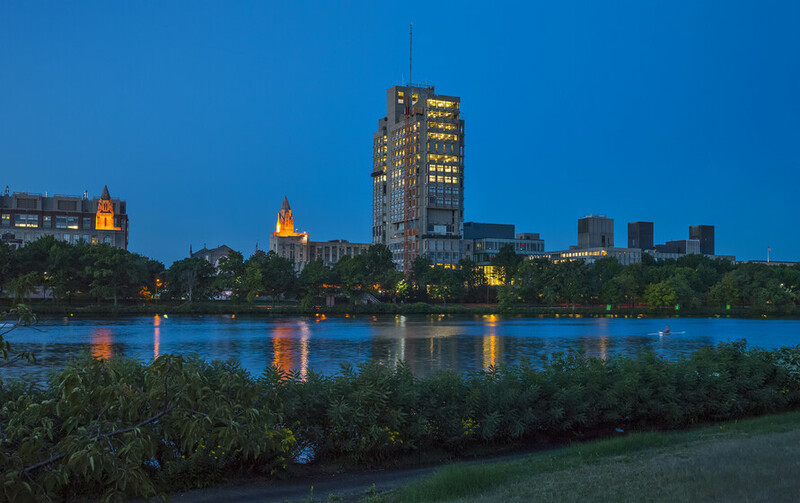 exterior and interior lighting, once more takes its place on the Boston nightscape. 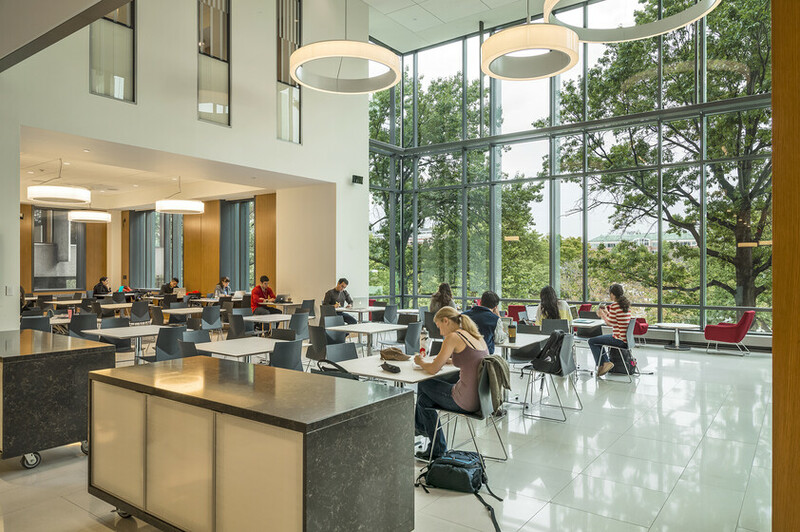 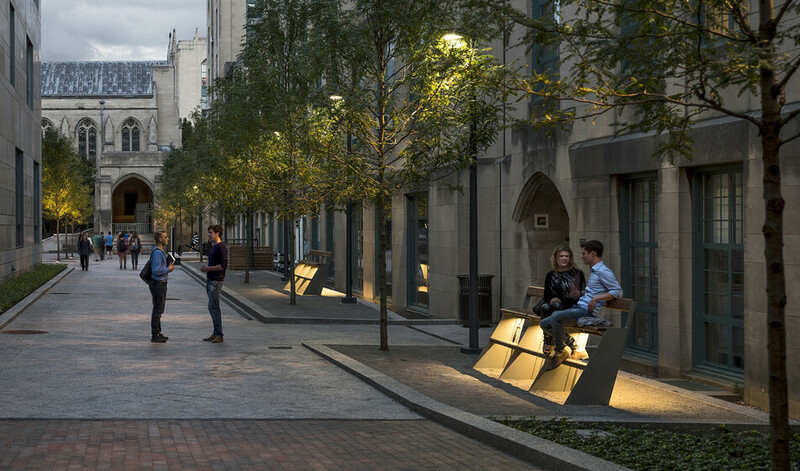 that work with daylight and views to create a sense of connection with the rest of the BU campus. 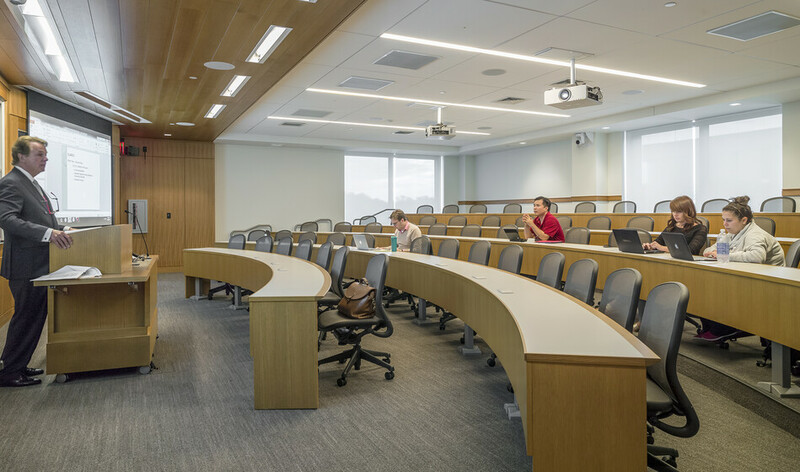 The Redstone classroom additions offer multi-level lighting that is integrated with the ceiling system to highlight the architecture, illuminate the seating area, and direct attention to the front teaching area. 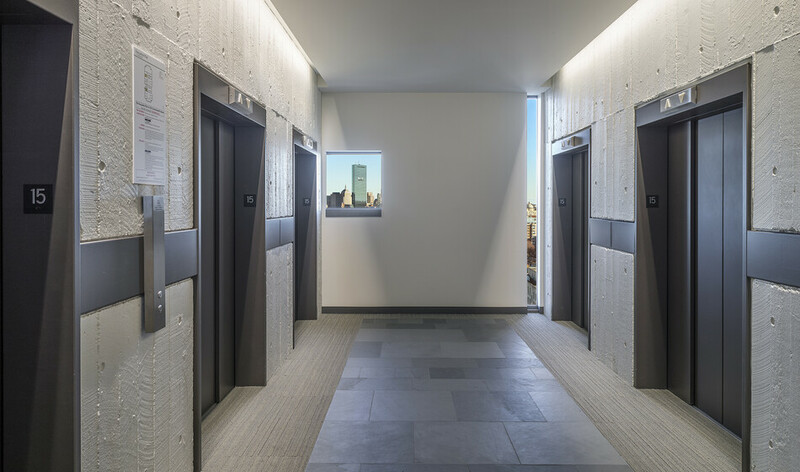 It is equipped with a programmable control system to enable users to vary the lighting quality and intensity to meet a wide range of usages.